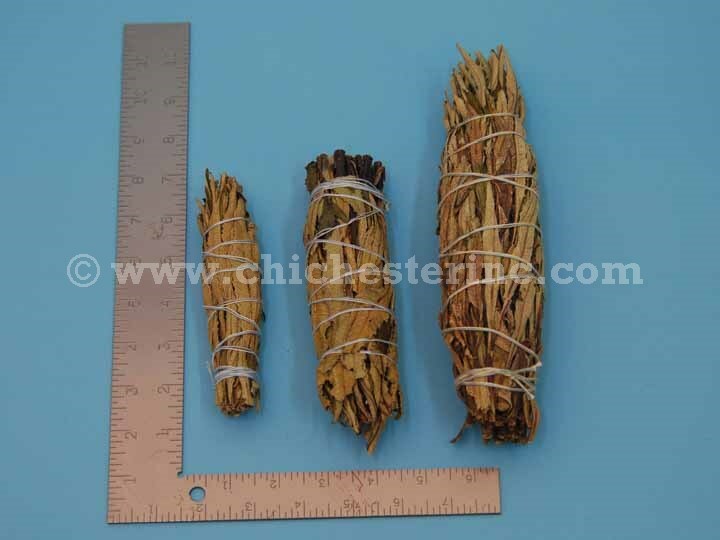 See the yerba santa bundles with a ruler. 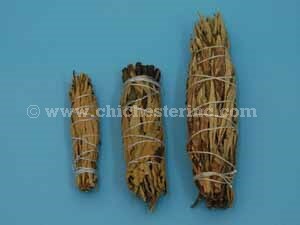 Yerba santa is also known as mountain balm, consumptive's weed, and bear weed. 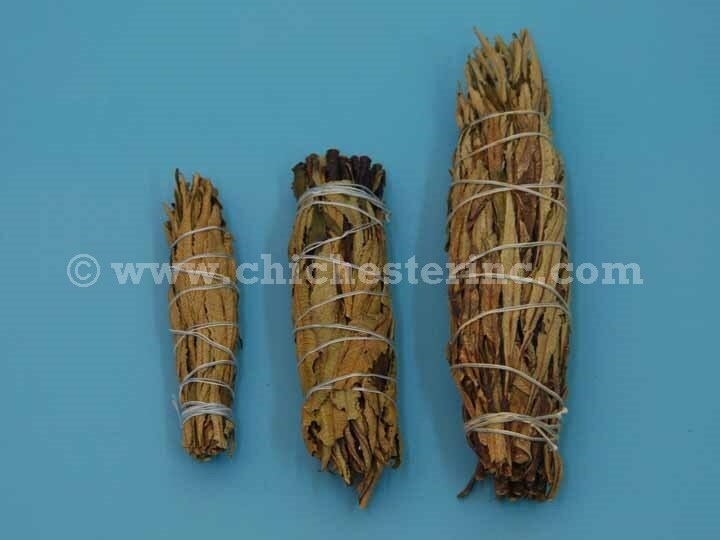 We offer California yerba santa bundles in different lengths. Genus and species: Eriodictyon californicum. Wild.